Discover the famous Mount Morgan open cut gold and copper mines and view dinosaur footprints found at the Mine in the Fossil Display Room, in the General Office dating back to 150 million years! Bus services depart and return to Rockhampton 4 times a day during the school holidays. Check the Mount Morgan Route 22 Timetable. 12 heritage-listed sites including the Copper Smelter, Gold Mine and School of Arts Hall & Library will feature on your golden list of MUST Do’s. A long list of attractions can be found at the Mount Morgan Promotion and Development Inc.
Take a step back in time and experience how travel in the area once was. With an impressive audio-visual display you can get a feel for early travel aboard the old rack rail; transporting trains up the steep inclines of the area’s mountains in the 1800s. 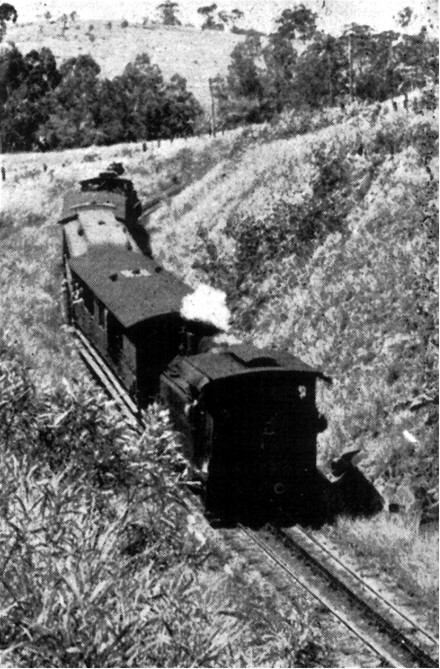 The Heritage Mount Morgan Steam Railway Complex, was operating a fully restored Hunslette Steam Locomotive, purchased from England in 1904 and worked at the mine until 1947. The Mount Morgan Railway Museum and Tourist Information Center is located at 1 Railway Parade. 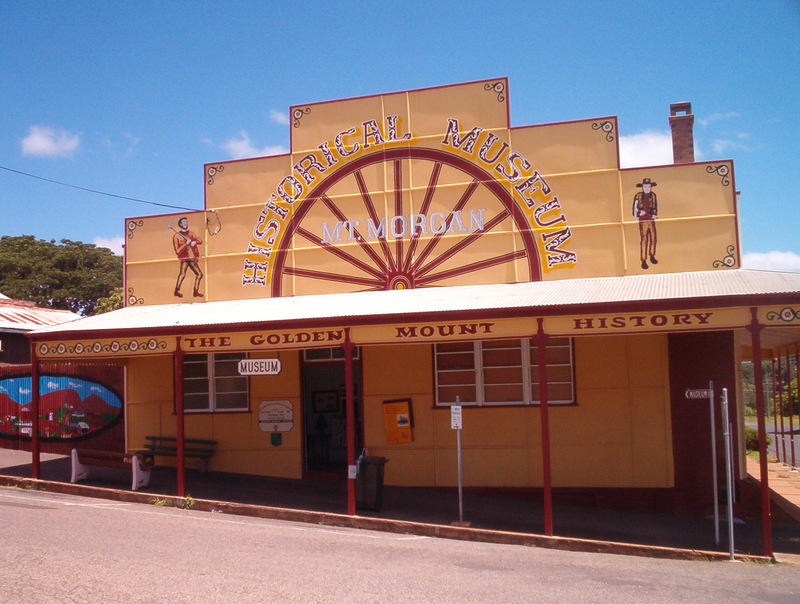 The Mount Morgan Historical Museum displays a fine collection of horse-drawn buggies, wagons, mining equipment, historic household and business objects and an extensive photographic display. Also on display is the Museum and Gallery Achievement Award winning exhibit, Mount Morgan Murri. Displaying a fine example of the history of the local Indigenous community, Mount Morgan Murri features a variety of artifacts, interpretation panels, stories and photographs recovered from around the local area. The collection also includes local Indigenous artwork and an audio visual display of photographs and voice-overs presented by members of the Mount Morgan community. Attend a mine tour, and discover why the Mt Morgan Mines were the worlds’ richest gold mines for its first 10 years of operations. Mine tours operate 7 days a week from 10am – to book and learn more from TMC Tours click here. This beautiful and quaint township on the crest on the mountain (with 360 degree, panoramic mountain views) is well worth a look.